Working to defeat anti-Semitism must be a cause for all people, not just Jewish people, said New Zealand’s minister for arts and culture in a strongly worded speech, at the Auckland opening of the Anne Frank travelling exhibition. 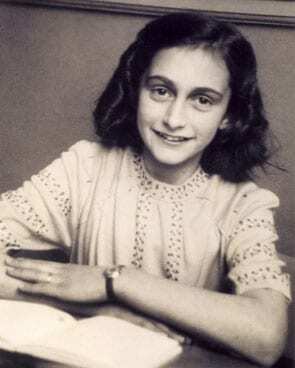 The honorable Christopher Finlayson, who is also the country’s attorney general, said that it was important to remember Anne Frank’s story was actually recent history, before going on to list a range of examples of modern anti-Semitism. “On the one hand, we have preachers of hate and then, on the other hand, we have public figures, who should know better, who appear to have a limited understanding of the events of the twentieth century”, he said. After its official launch on Yom HaShoah, the exhibition – which is on display at Kadimah College in central Auckland – will be open to the public on Tuesdays and Thursdays from 6pm till 8pm and on Sundays from 10am till 4pm, from April 12 to May 12. The exhibition is made up of an 11-panel timeline which depicts the life of Anne Frank and her family in parallel with the rise of the Nazi Party, the persecution of the Jews culminating in the Holocaust, and major events in World War II. It also includes a specially made documentary featuring Holocaust survivors who now live in New Zealand. 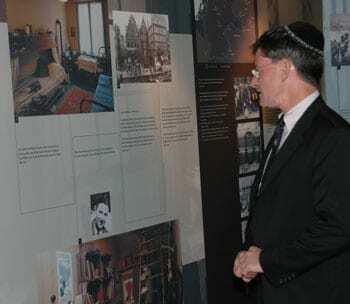 Chairman of the Anne Frank Touring Exhibition committee Boyd Klap said that over thirty thousand people had visited the exhibition while it was in Wellington recently, and that 18 schools had already booked to visit the exhibition while it was at Kadimah. Before extending a special welcome to Holocaust survivors Bob and Freda Narev, Klap also said that, although the exhibition was originally only scheduled to travel around New Zealand for two years, organisers had now fully booked it for a third year in the country. Besides Finlayson, distinguished guests at the opening included Labour MP [and former minister of ethnic affairs] Chris Carter, the MP for Auckland Nikki Kaye, Auckland mayor John Banks, Waitakere mayor Bob Harvey, the newly appointed honorary consul for Israel David Robinson, and representatives from the Dutch consulate. The exhibition opening was followed by a Yom HaShoah memorial service, hosted by the Auckland Hebrew Congregation. Also, earlier in the day, the Zionist Federation of New Zealand ran a Holocaust seminar, which featured both junior and senior programmes, to commemorate both Yom HaShoah and the Auckland opening of the Anne Frank exhibition. To make school and group bookings for the Anne Frank exhibition at Kadimah email: afexhibition@kadimah.school.nz. For more general information about the Anne Frank travelling exhibition go to www.annefrankexhibition.co.nz.